'Tis the season for pumpkin spice and everything nice -— am I right? We thought there was no better way to celebrate than with a doughnut! In a large bowl, mix spiced cake mix and pumpkin puree. Bake at 425°F for 10-12 min. 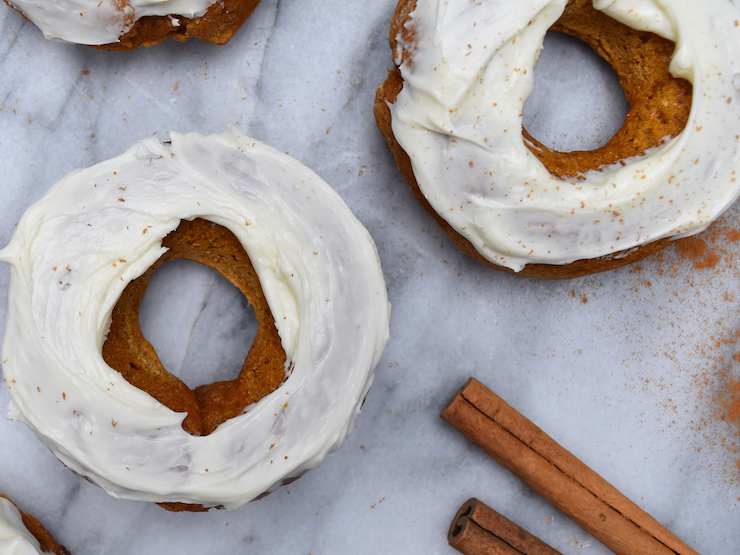 Let cool, ice with vanilla icing, and sprinkle with freshly grated or powdered cinnamon.